If you’re planning to launch a smashing new website, you might have heard this term bandied about. The content that lives above the fold can make or break the conversion power of your website. Many people don’t know where the fold is, what’s meant to be above it, or even if they should care. Knowledge is power. Right? So, let’s break down this whole ‘above the fold’ meaning and concept to see if you think it’s relevant for you. 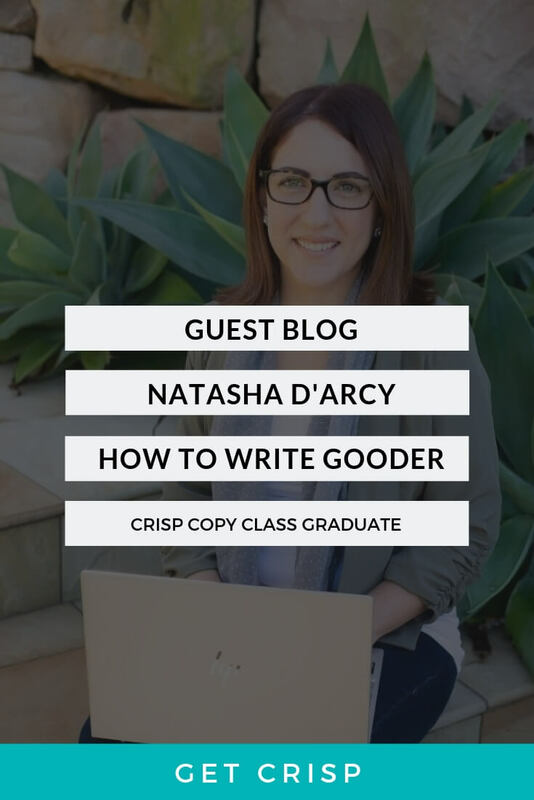 Supporting images, use of Headers, and fantastic layout all need to combine with compelling copy to get readers from curious cats to converted clients. Knowing about the fold means you can gauge if you need to take the whole fold thing into account when structuring your page. How does it relate to your website? Are there any absolute rules for what should be above the fold and what should be below it? How can you use the fold to your benefit? Content that was above the fold had the capacity to make or break a newspaper sale. That’s why the content above the fold of newspapers tends to be conspicuous, usually a big ‘hook’ for a headline and a great big picture. 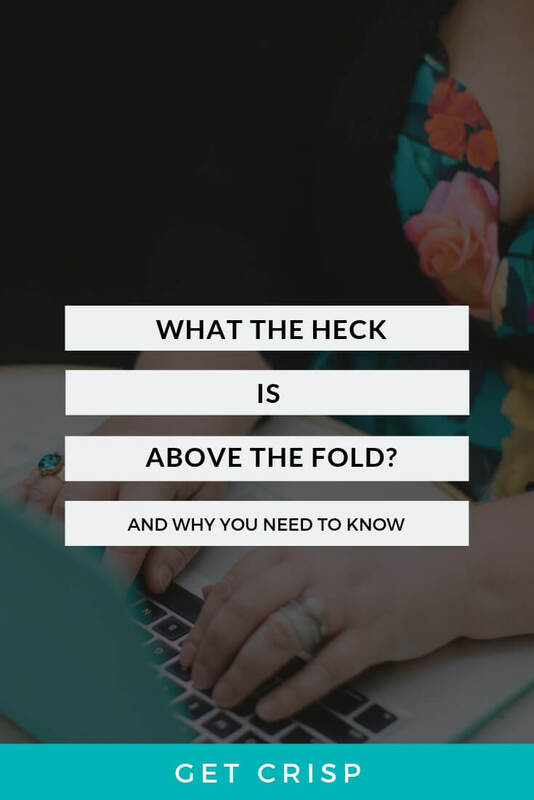 How does the ‘above the fold’ principle work with your website? Well, anything above the fold on your website basically refers to whatever is immediately visible. When a user clicks on your link and lands on your Home page, whatever she sees first (without scrolling) is above the fold. Anything lower on the page is below it. This means that whatever is at the top of your page is crucial because that content dictates whether or not the user is going to scroll down. So, ‘above the fold’ is precious real estate. Build your best Home on it. Let’s use Google search results for an example. Why is SEO so important? Because good SEO increases your likelihood of populating in the top results of a Google search. 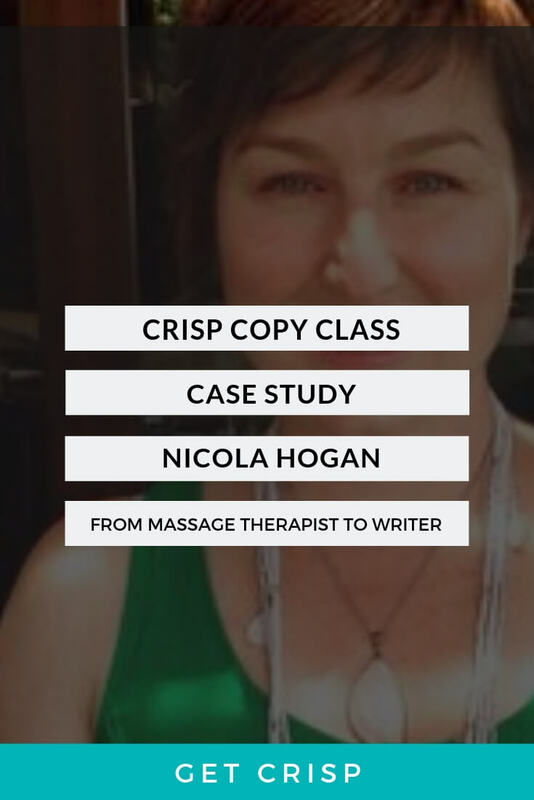 You want to be here because most people don’t scroll through Google – they find exactly what they’re looking for (in most cases) somewhere within the top ten (if not five) search results. If your website ranks lower in the results, there’s not much of a chance that users are going to see it, because that requires them to scroll down. In other words, your website is ranked below the fold. Of course, Google isn’t trying to get you to scroll down. Google wants whatever you’re looking for to be the #1 result. What you are trying to do is get people to scroll down or, better yet, buy your product or respond to your call to action. So, just like Google’s above the fold content does an outstanding job of completing its job (delivering exactly what you’re looking for), you’d do well to make sure your above the fold content does an outstanding job of completing the job you want it to (purchase, call-to-action). This brings us to question three: what are the rules, if any, about what’s above the fold? Here’s the trick: there really aren’t any hard and fast rules, for a couple of reasons. What constitutes above the fold on a computer screen might not be the same as, say, a mobile phone. Not only that, but there are a couple of different strategies you can use – and what you’re trying to achieve dictates what you’re putting above the fold. As a general guideline, you’ll want to establish a sense of trust above the fold. If you use PayPal for transactions, be sure to make that clear. If you have any business accreditations (such as an endorsement from a relevant association you couldn’t otherwise trade without) you’ll want to put that above the fold. If you want to be contacted by phone, yep, you’ve got it – a phone number has to live here. If you’re making a big brand promise, here’s where to make it. Another guideline you might consider is a glory shot above the fold. What this relates to is an image depicting exactly how your product or service ‘saves the day’. So for example, let’s say you’re selling a new type of running shoe. You’ll want your big glory photo above the fold to depict someone running through the wilderness, sweating, clearly loving life and – oh, what’s that? She’s wearing YourBrand running shoes. and then have faith that they’re going to buy. The drawback here is that if you fail to establish that rapport, or if you take too much time asking for the sale, your customer might move on – whereas had you asked for the sale from the get-go, you may have gotten it. Choosing between these two options will be made easier by a firm idea of your target market and ideal client. This is an important point and while there aren’t any hard and fast rules about what should be above the fold, there are a couple about what shouldn’t be. What doesn’t belong above the fold? First, you want to keep it simple. Establish as much trust as possible in as little space as possible. Establish your brand in as few words as possible. Make the call to action as easy as possible. In other words, don’t cram huge amounts of information in here! Why? Because then you’re doing more harm than good: you’re overwhelming your readers with information. Go back to your newspaper history lesson and think of how many headlines appeared above the fold How many pictures? Usually one and one. Usually the article was visible, but it ended with something like “continued on page 3”. The content above the fold only exists to make your customer want more. The front page of the newspaper helps to sell the newspaper. Similarly, you want your content to help your customer want to scroll and learn more or to make a purchase (or both). Second, and this kind of ties in with the first, keep the content to a relative minimum. Leave the big blocky amounts of copy on the other pages or in the sections below your calls to action on the Home page. Your above the fold copy is your introduction. You want it to be simple and streamlined. If it comes across as too busy or disorganised, your customer is going to lose confidence, and you’re going to lose them. Use the real estate to your benefit. 1. Your above the fold copy might make or break your sale. If you have good content, they’ll stay. Bad content and they’ll leave. 2. Keep it simple. You want your customer do either keep scrolling or click on the ‘buy’ button. Make it as easy as possible for them to do so. 3. Strategise before you write. What do you want your copy to do? You can try more than one strategy and see which works. Do you make more conversions by introducing the call to action immediately? Or do you find you have better results establishing rapport first, and then calling for action? 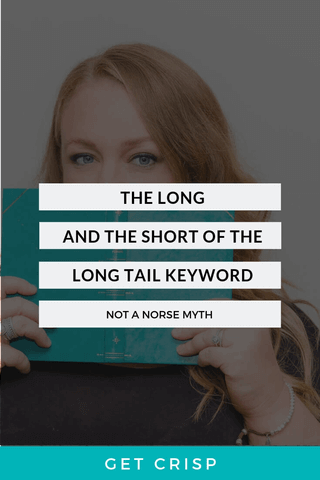 “It’s time to wipe EVERYTHING you know about SEO from your mind – chances are it’s wrong, or misinformed. You wouldn’t go to a plumber for a new logo right? So WHY would you get SEO knowledge anywhere else other than directly from the experts? Our nerds are constantly testing and innovating to ensure our methods are the BEST and most effective they can be. bloggersSEO gives you access to all their knowledge, without the fluff surrounding other courses.